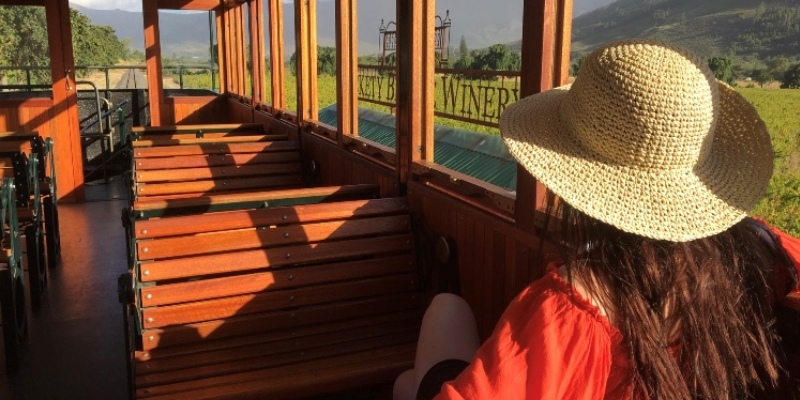 The UK winemaking industry just can't compare to that of South Africa, so we were very excited to be invited aboard the Franschhoek Wine Tram for a day of sightseeing and wine tasting! 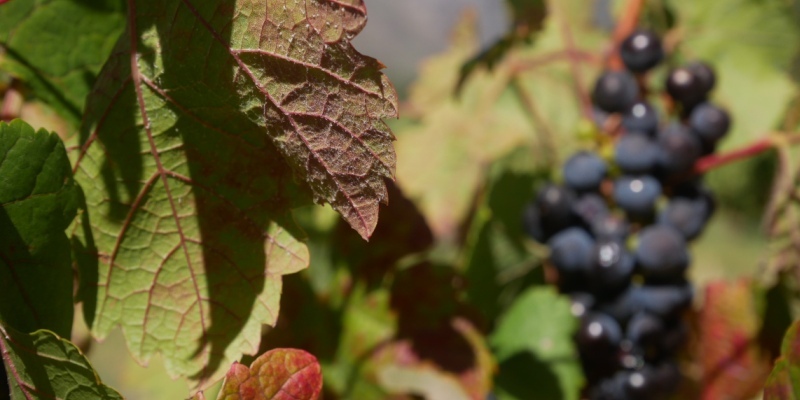 The concept is simple but effective; you choose your coloured line based on which wine estates it visits, then turn up on the day of your reservation and get issued a coloured sticker so the vineyards can identify you. 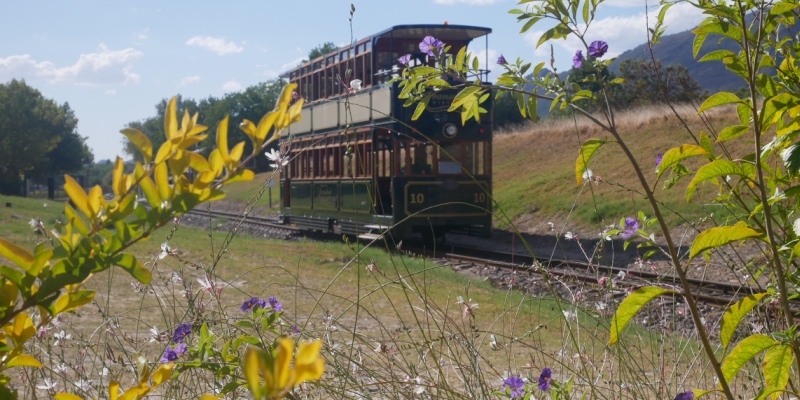 There are eight estates on each line, but the tram/bus stops every hour for six hours, so guests can visit a maximum of six vineyards throughout the experience. The tram conductor advises you to set your watch to their time, as they're incredibly punctual! Once we'd checked in we were handed a list of what each wine estate was offering that day, including free glasses of wine, discounts on bottles, and food packages. 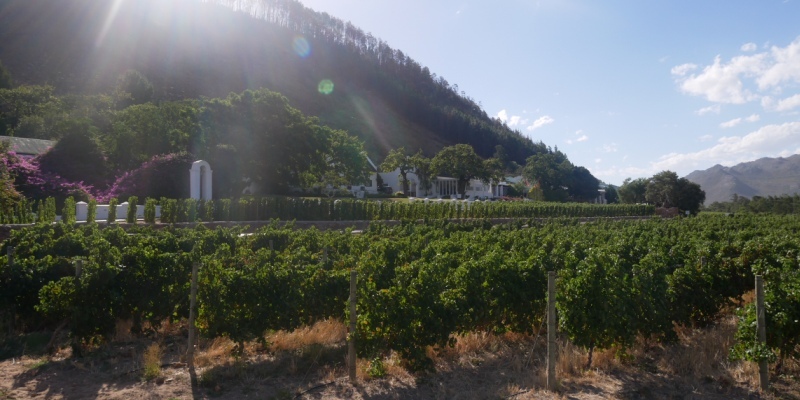 We decided to start at Eikehof Wine Estate, a quaint boutique estate established in 1858, to kick things off with a tasting of their premium reserves and delicious port. 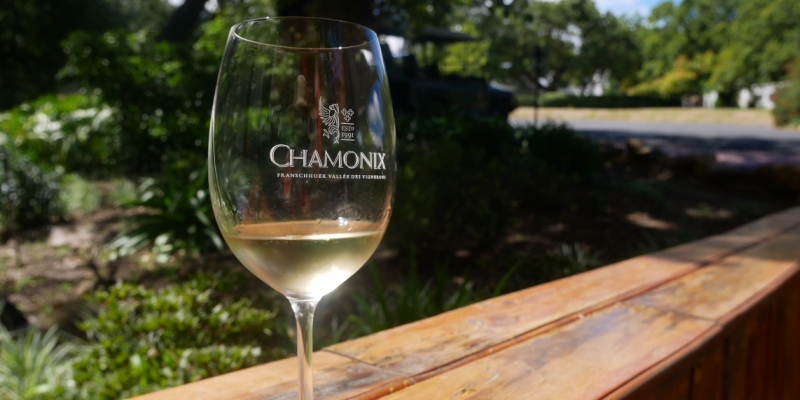 Up next was Chamonix, a modern and vast estate established in 1991, offering overnight accommodation, game drives, and wine tasting at their restaurant. The wines were truly exceptional and our host graciously talked us through each glass, making it a thoroughly enjoyable experience - so much so we decided to stay for lunch! Because we'd stayed for lunch we didn't have a full hour at the next estate, but you only need a few seconds to see that Dieu Donne Vineyards is something special. 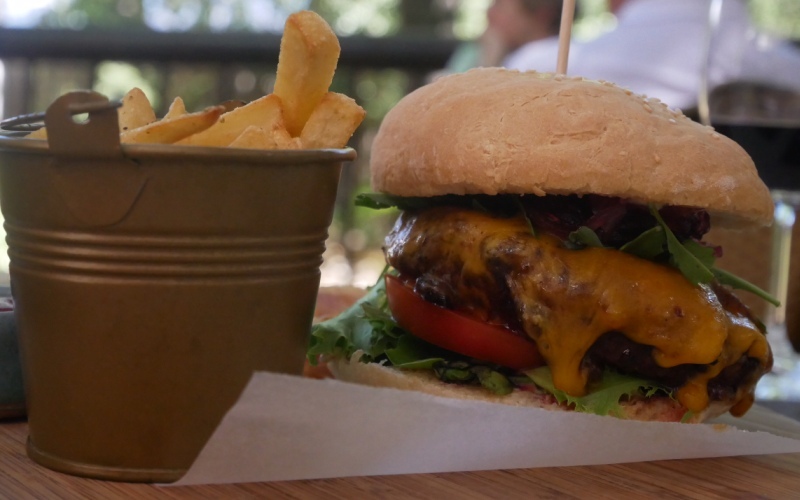 It's located higher up the valley so benefits from the incredible views over all of Franschhoek, making their outdoor seating area a beautiful place to enjoy a glass of wine. Our final stop on the tram was Rickety Bridge, one of the oldest wineries established in 1797. The sun was starting to set sending beams of light through the rows of vines, wrapping us in a warm, wine-fuelled haze that had us feeling very mellow. Here we enjoyed a tasting of their signature wines, plus some of their rosé ice cream (would be rude not to! ), before reluctantly boarding the tram to take us back to the ticket office (but not before purchasing some of their Sauvignon Blanc). 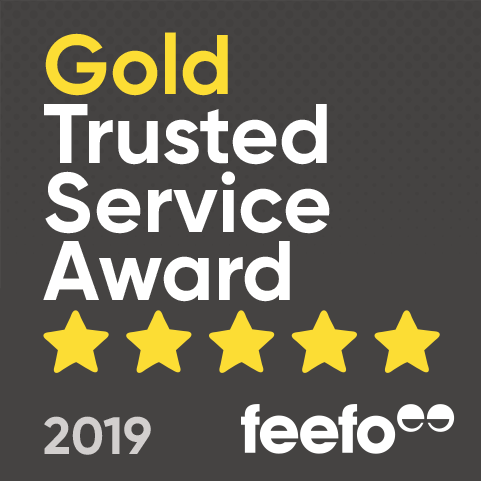 I can't recommend this experience enough, and highly praise the efficiency and organisation of the entire tram system. 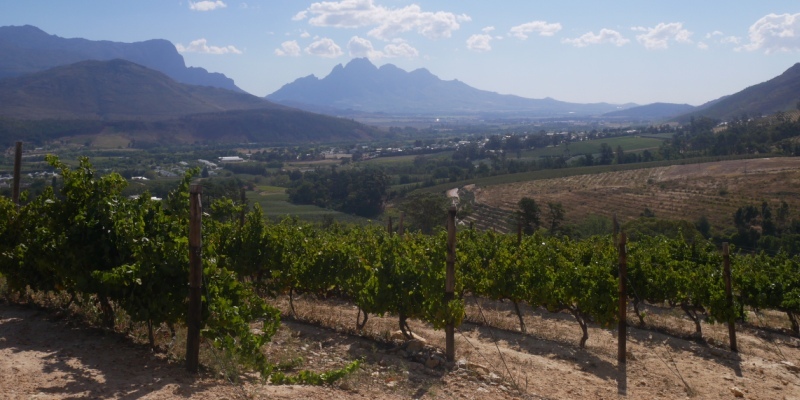 With tickets costing only R220 and wine tastings starting from R30, a day exploring the Franschhoek wineries is perfect for tourists and locals alike. Huge thanks to Shannon for inviting us along, we certainly hope to return some day!